A change in scenery is always helpful for the mind, body and spirit (especially in the middle of a NYC winter). Come to a slice of paradise with us this winter for a week of diving into yoga, swimming in the warm Caribbean, eating clean, local food, and soaking up some sun. SKY TING queens Alex and Kate will take you deep into your practice - expect innumerable insights and a greater understanding on how to use yoga to enhance your life! All meals (light breakfast, lunch, dinner), except 1 dinner off! Note: Tip for staff is not included, but $50 for the week stay is encouraged. There is also a departure tax of $40US when leaving Belize City International airport on the way home paid at BZE. Flights should be booked into Belize City. 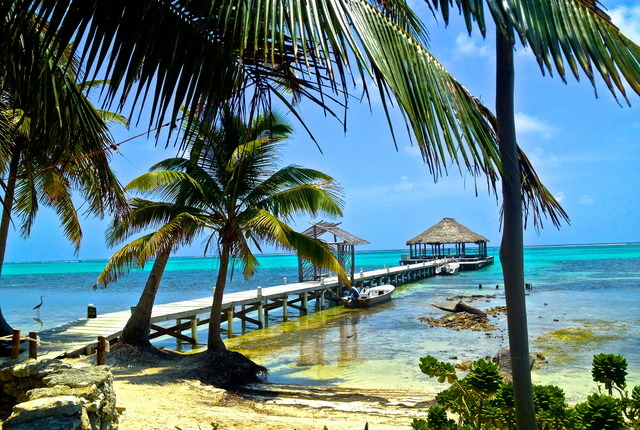 From Belize City there are two options to get across the water to Ambergris Caye. Note: The first yoga class will begin at 5pm on the first day, and we will finish with an early morning yoga session on the last day. Tropic air: Ak'bol will reserve ALL Tropic air tickets for group directly from Belize City International Airport to San Pedro $157.75US round trip per person. The tickets are reserved by Ak'boL so there is no waiting, and guests will pay for their tickets directly at check in before boarding the plane, with CC or cash. Water Taxi: Take a $25-30 US taxi directly from International airport to the water taxi terminal in Belize City roughly 30 minutes. The boat ride over is $15US one way per person and roughly a 1 1/2 hour ride. There is a daily schedule and two water taxis, both are walking distance away from one another. We recommended taking Tropic air over if landing after 2pm so guests can arrive to Ak'bol in time for the Welcome Yoga + Dinner at 5pm. There is an early bird discount on listed prices of $100 off until December 1, 2017. $800 non-refundable deposit required to hold your spot, full balance due by January 10, 2018.